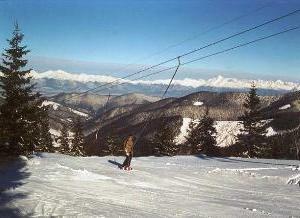 Ski resorts on Certovica are situated in the saddleback of Low Tatras on the hills of Certova svadba and Lajstrocha. High quality maps provided by Sitour. Live web cameras provided by Sitour. Distance Demanova-Bodice >> Certovica-Low Tatras :: 35 km - 40 minutes. Copyright © 2007-2016 www.demanova.sk. Contact: info@demanova.sk. Web design APweb.